Nong Bua Pracho Luang Choeng Doi, Doi Saket, Chiang Mai. Lagoon nature have an area 120 Rai. 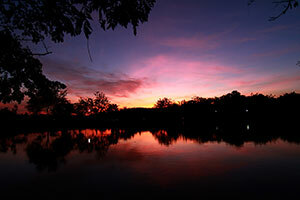 It is supported by rainwater and water from the Mae Dok Deang River. Originally, Nong Bua was more spacious than today. Villagers can use the water in the Lagoon to farm. And the address of the duck more than a thousand. Is a recreation. Long ago, King Rama 9 and Queen came across this place and very impressed.